for $274,900 with 6 bedrooms and 2 full baths, 1 three quarter bath. This 3,480 square foot home was built in 2002 on a lot size of 200X350. Beautiful 6 bedroom home with 3 baths multi-level home is ready for a new owner. This home has room for everyone in the family to have their own private area. There is an over sized family recreation room for entertaining, games, movies, or whatever your imagination wants. 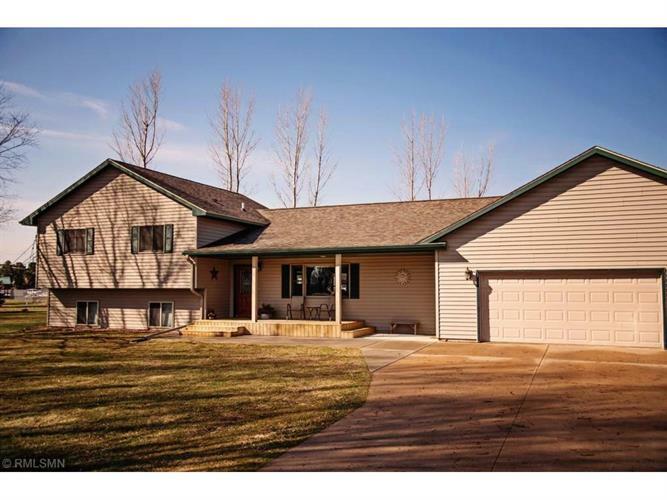 Large deck just off the kitchen with 1.5 acres of flat land located 10 minutes from Winona. Call today for your private showing.